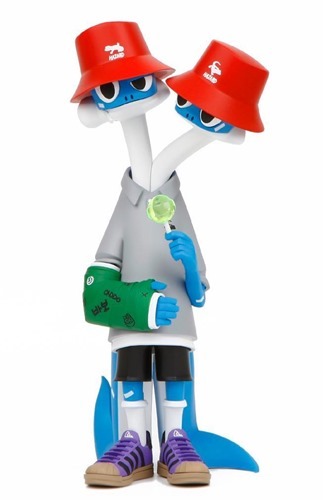 Up until now, Whatshisname's Popiki ballon characters have been dogs. 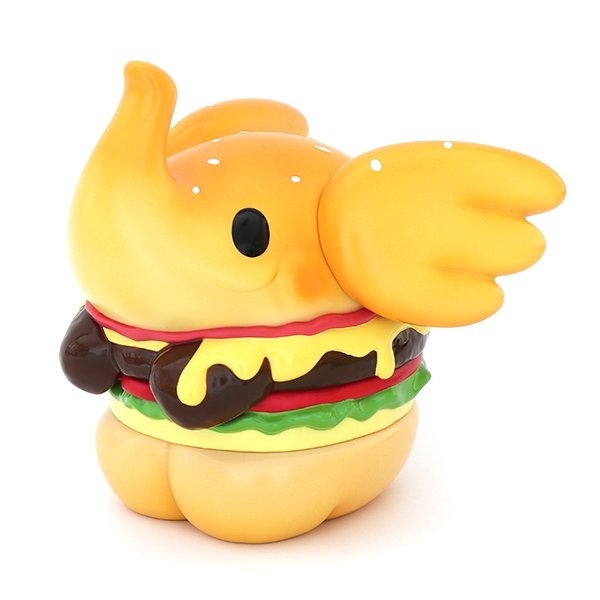 That changes in 2019, the Year of the Pig, with the brand-new PIGpek from Mighty Jaxx. 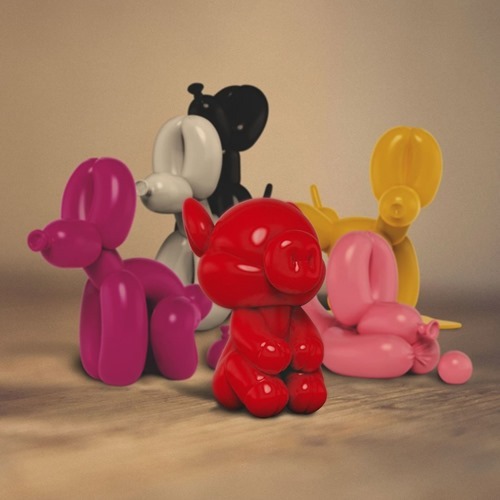 The cute little oinker brings a new shape, vibe and character to the artist's balloon animal family. The 8" PIGpek vinyl will be available for pre-order for $129 (includes worldwide shipping) on Saturday (2.9) at 6 AM PST from Mighty Jaxx. 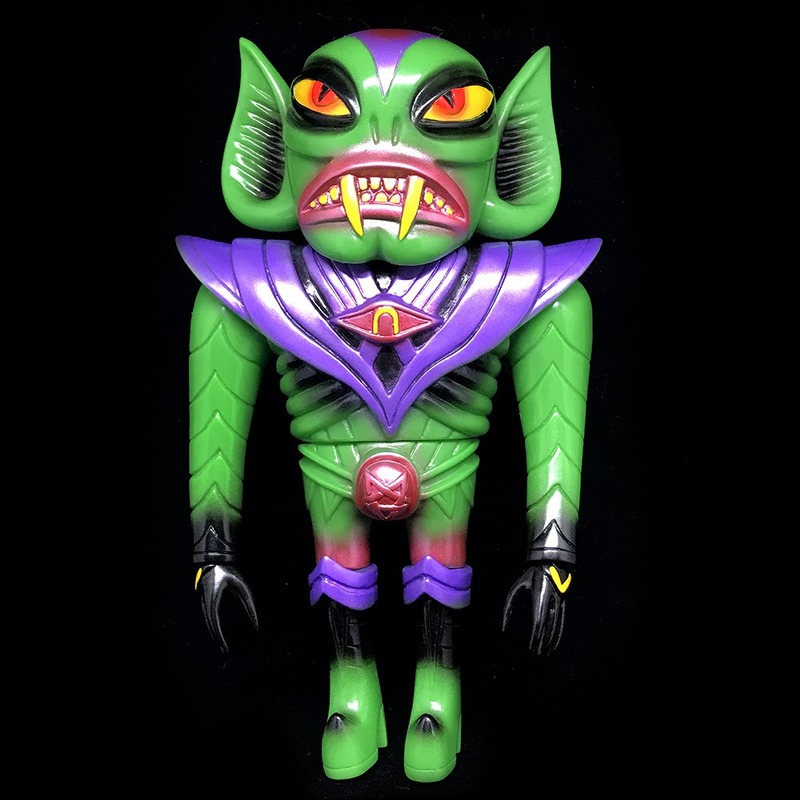 For this week's drop, Toy Art Gallery goes stealth drop with the un-announced Glampyre Green Goblin edition from Martin Ontiveros. From 70's tokusatsu to comic-books, Glampyre continues his cosplay ride with this new homage to Spidey's flying nemesis. 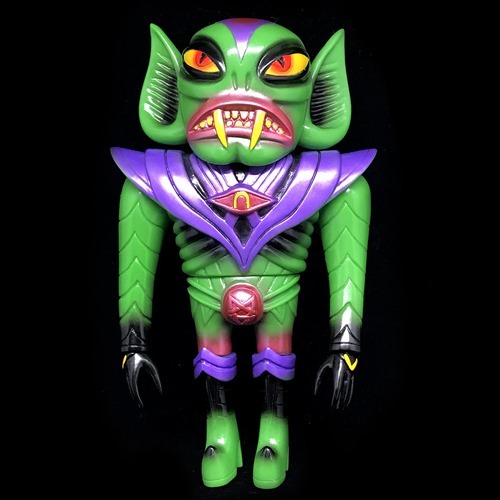 The Glampyre Green Goblin (8", $75) is available now from the TAG web shop.